Unhappy leaders build miserable teams. If you’re surrounded by unhappiness, it’s time to look in the mirror. 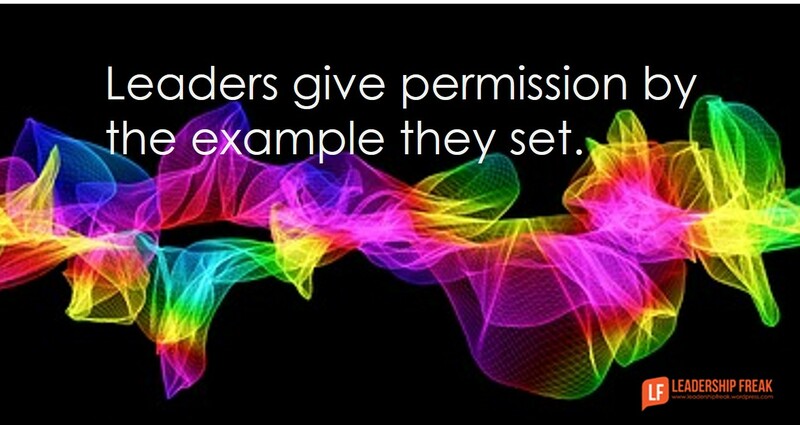 Leaders gives permission by the example they set. Leaders give teams permission to be happy by showing their own happiness. The power of permission shows up on front-line teams and in boardrooms. Corporate leaders – grown women and men – watch CEOs to determine if they’re allowed to be happy. Successful leaders find ways to be happy and discontent at the same time. Happiness is about choice, character, and conduct. Discontent is about the world around you. Humility makes you happy. Misery springs from arrogance. Nothing’s ever good enough for arrogant jerks. Focus on the good you feel you deserve. Look down on others – feel superior because of position. Expect others to serve you – serve yourself. Concentrate on your strengths and the weaknesses of others. We all know your weaknesses aren’t as bad as the frailties of others. Think of humility as a practice, not a feeling. Show gratitude for lessons learned from failure. The really great stuff you know came through screwing up. Allow others to learn from failure. Make a strengths list for your teammates. Ask for input, feedback, or help from a team member’s area of expertise. Reflect on your frailties from time to time, but don’t dwell there. Consider how others are putting up with you. You might begin by thinking how you’re putting up with others to get in the mood. How are others compensating for your weaknesses? A leader’s happiness is permission for others to be happy. How does arrogance produce unhappiness? How does humility produce happiness? Good Post Dan – In this political season; I often find myself reading your posts and applying them to the candidates. This certainly makes for an interesting perspective. Of course some political leaders are leaders in name only. The surprise benefit is that it also helps us all stay future focused. When you stop …. watch … really pay attention… observe … not get caught up in the moment … its interesting how the “red pencil” mentality has infiltrated our consciousness. Its unproductive and such a turn off … doesn’t lend to an up building or pleasant encounter. We focus on business leadership, when the most important is our personal leadership and our families. The negativity started somewhere and usually its at home. Thanks again Dan. I agree with the attitudes you describe. Humility is much more powerful than arrogance. However, I’m wondering how I make corrections without giving the impression that “I’m right”. I can accept poor grammar, or I can make corrections. Seems like accepting something substandard is doing a disservice on a whole new level.